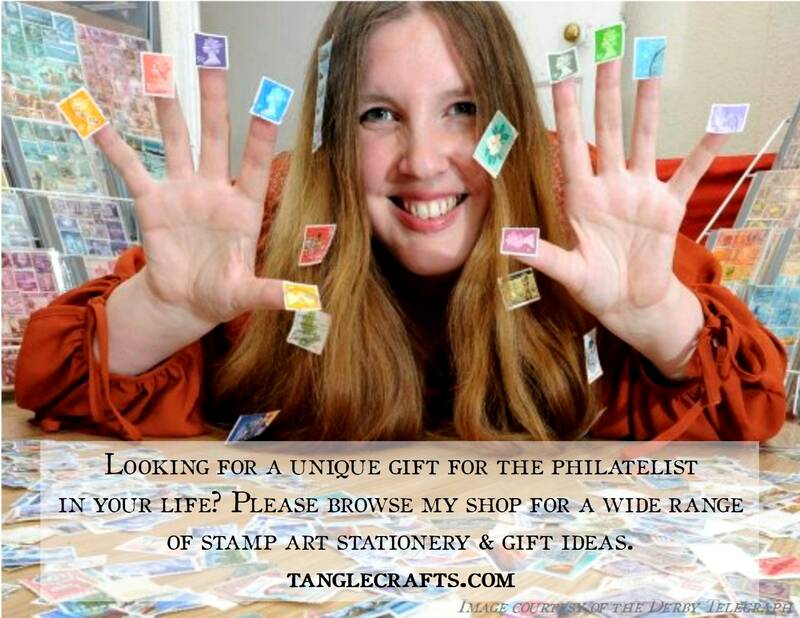 * Excepting envelopes & pen, all items are printed with exclusive TangleCrafts original designs by professional print companies. 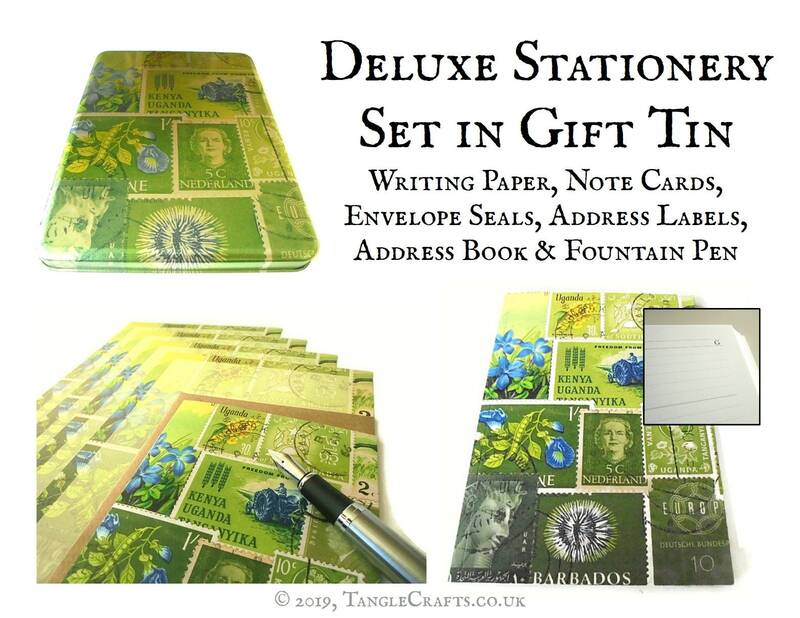 A truly decadent gift set for any avid letter writer! 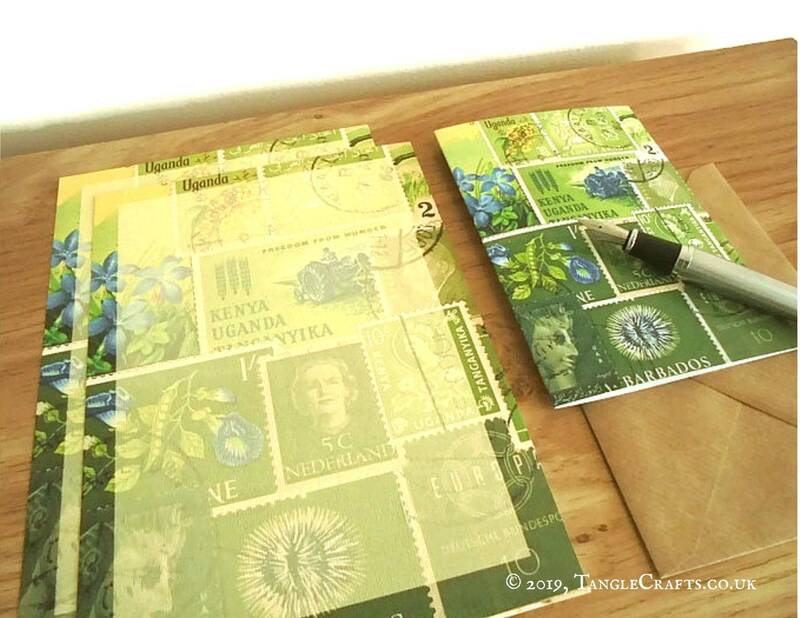 This deluxe stationery set features a print from one of my original collages of vintage postage stamps from around the world, in a moss-green gradient of shades with blue accents. Measures approx. 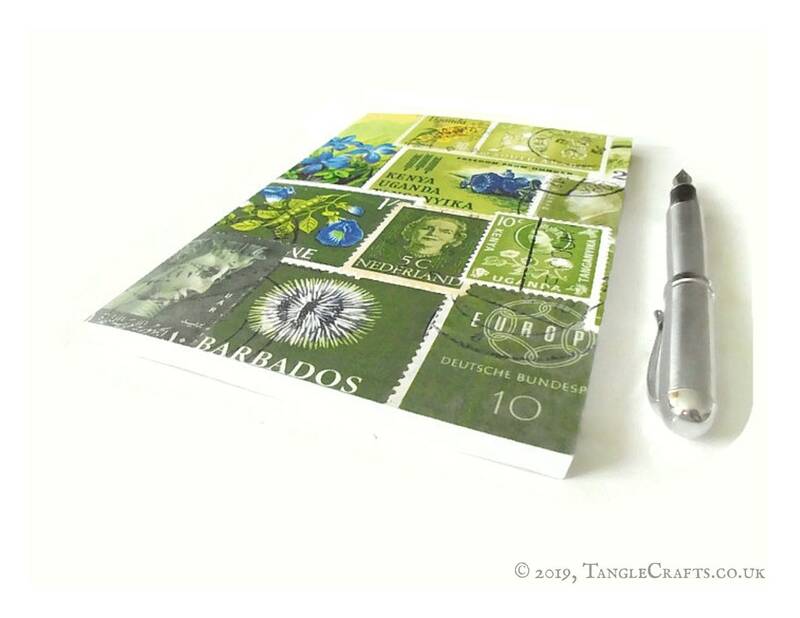 16.5 x 22.5cm (6.5 x 8.9 inches) x 3cm (1.2") deep, perfect for storage of A5-sized stationery. 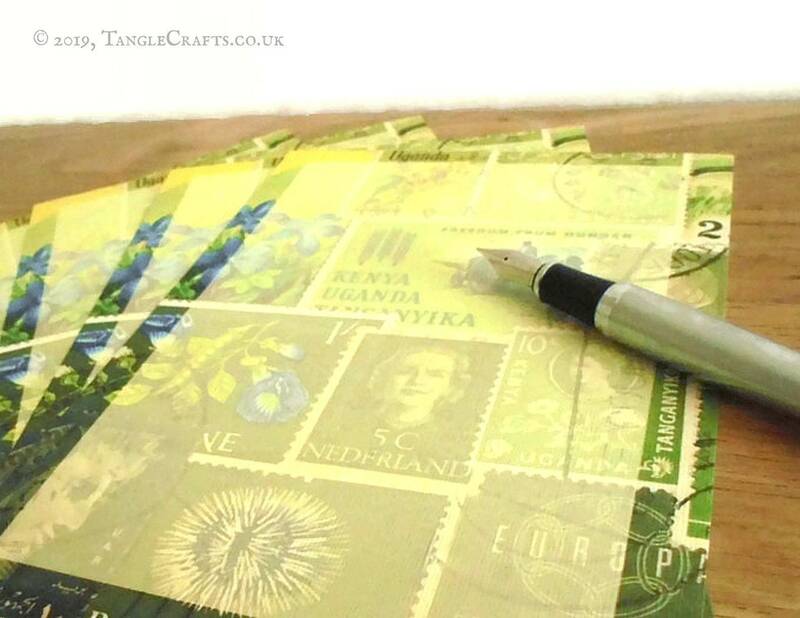 The stamp collage design is printed directly onto the (lift-off) lid of the tin, so that the silver-tone metal shows through, creating a retro, vintage feel. 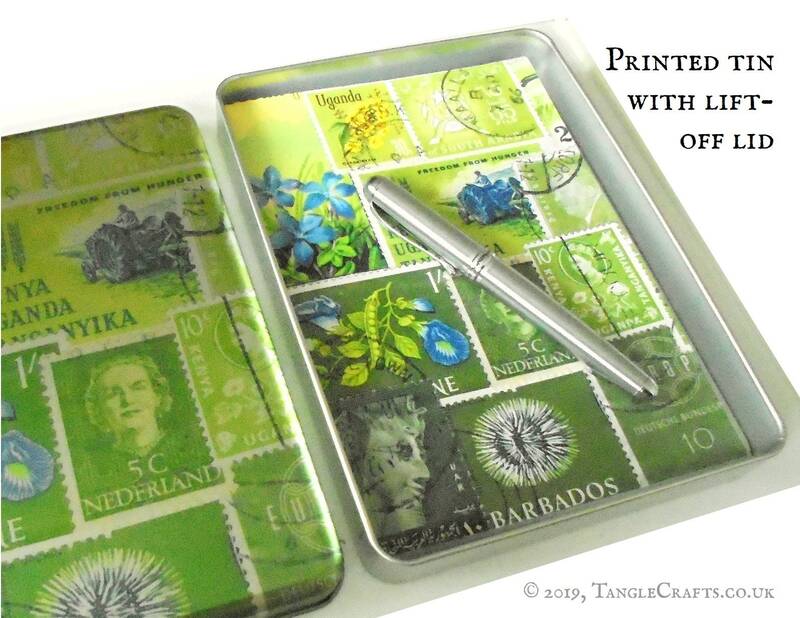 The printed design wraps around the sides of the tin's lid, for a more elegant finish. Sublimation printed on tinplate metal tin by professional printer. 144 pages of eco-friendly wood-free paper, printed with my exclusive address book layout: 4 pages per letter, with 2 columns per page. 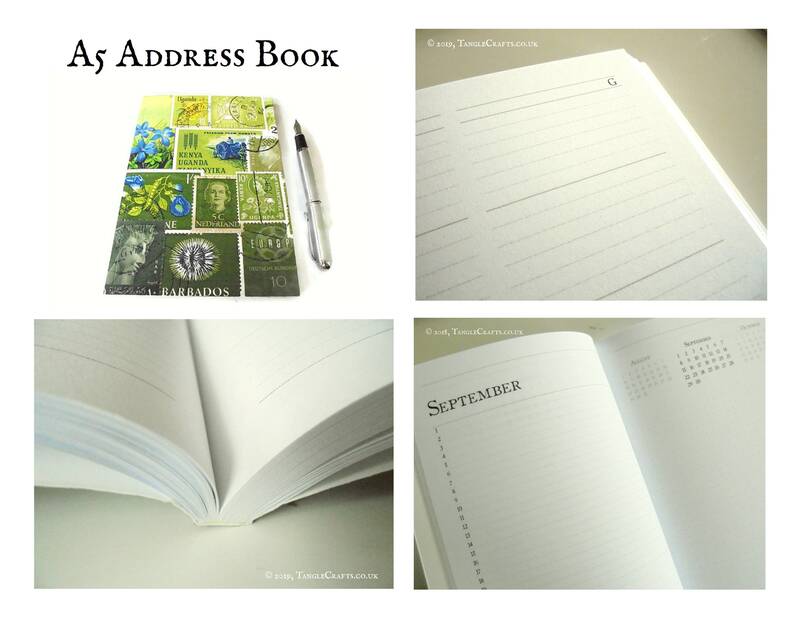 Also includes a month planner for birthdays etc with a double-page spread for each month. Even more correspondence options! 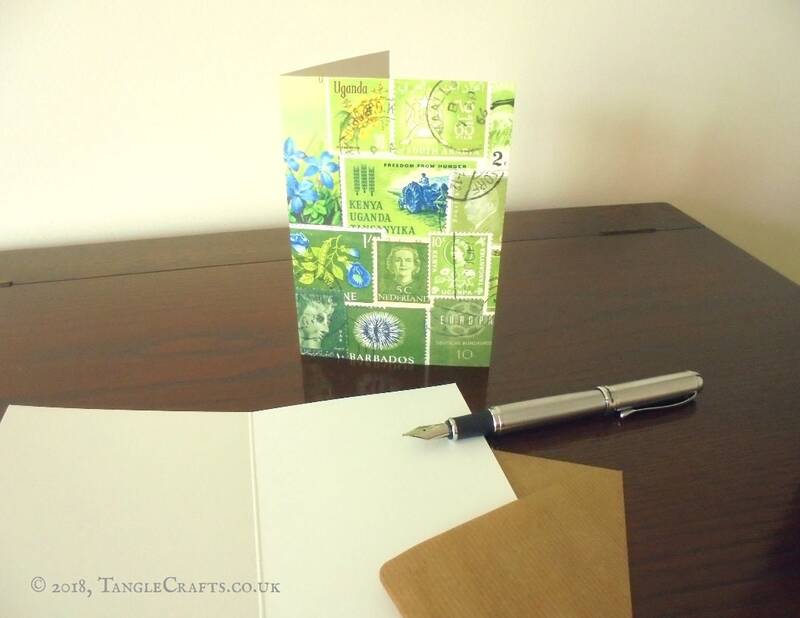 Single-fold note cards are blank inside, and printed on 300gsm scratch-resistant satin-finish cardstock. 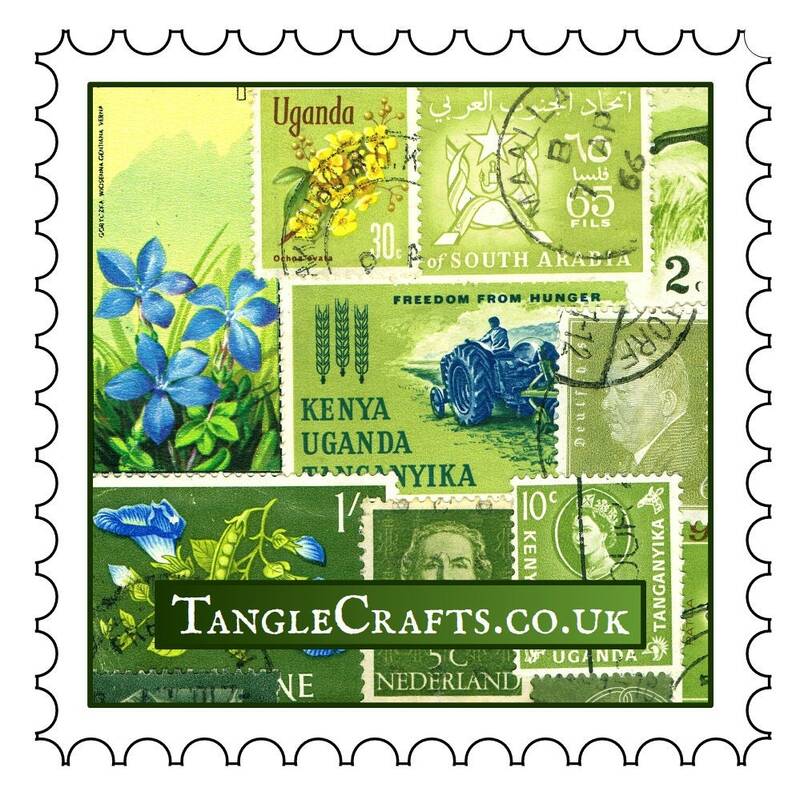 Cards are A6 size = 10.5 x 14.8cm = 4.1 x 5.8 inches. Labels are professionally laser printed on high quality 70gsm paper labels with a smooth, uncoated surface that is very easy to write on. 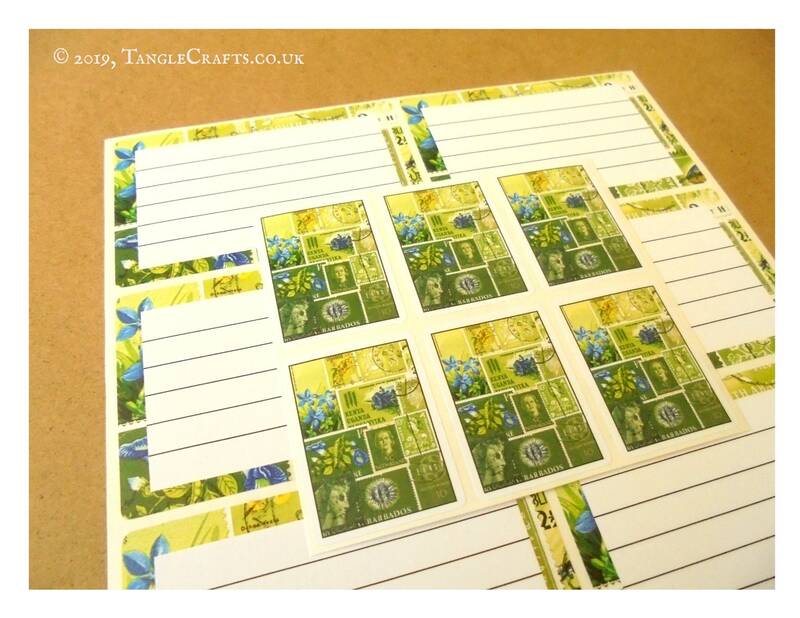 They are supplied on easy-peel backing sheets, with permanent adhesive on the reverse. Lovely weighty stainless steel pen with matt/brushed metal body & shiny tips. Includes ink converter for bottled inks but also takes standard international ink cartridges. All packaged in a sturdy kraft-covered gift box with lift-off lid, tied with satin ribbon. Great for both gift-giving & storage!